Fully insured vision benefits are available to AWA members that include eye exams and coverage for eyeglasses, contact lenses and more. With an integrated provider network, members can choose from private practice optometrists, ophthalmologists, opticians and optical retailers to enjoy in-network savings. 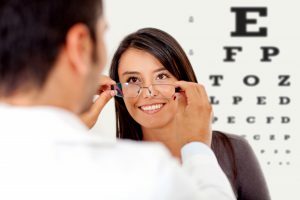 An eye exam is one of the best ways to protect your vision because it can detect eye problems at their earliest stage when they’re most treatable. Regular eye exams give your eye doctor a chance to help you correct or adapt to vision changes. Even if you think your eyes are healthy, you still need an eye exam from time to time. Find an AWA membership that includes eye exams to stay on top of your health. The AWA Focus First EyeCare vision plan provides benefits for an eye exam and lenses once every 12 months, and frames once every 24 months. In addition, members receive benefits for contact lenses, as well as discounts on vision items not covered by the plan. Combined with health care discounts to help members save money, Focus First EyeCare provides an effective tool for entrepreneurs. The AWA ClearView membership plan provides a fully insured vision benefit partnered with additional discounts and resources that make this a great membership level on its own or as an add-on to another AWA membership level. Plus, with benefits toward frames, lenses and contacts, members will enjoy cost savings from AWA ClearView. For more information on AWA memberships that include insured vision benefits, please contact us here.